Greenhouses for Aquaponics. Nelson and Pade, Inc. offers budget-friendly freestanding greenhouse kits for indoor aquaponic farming. Nelson and Pade, Inc.® offers a variety of greenhouse kits for aquaponics. 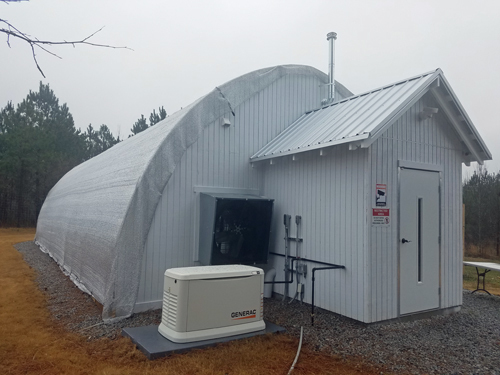 These greenhouses for aquaponics can be used in cold, moderate and warm climates and will protect your crops from extreme weather conditions. 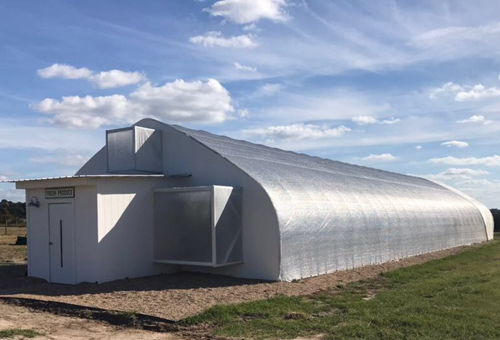 If you are interested in indoor farming, these greenhouses are a great choice for year ’round food production. This greenhouse has been used for indoor farming for many years. Dual layer of inflated poly is energy efficient. Insulating the north wall adds energy efficiency. It is a great, budget-friendly choice. Most buyers build it themselves. The pre-wired electrical panel will save you thousands of dollars that you won’t have to pay to a local electrician. aquaponics, hydroponics, soil growing and more. Multi-bay greenhouse shown with insect exclusion. Premium Greenhouse for Aquaponics. Available from select manufacturers. 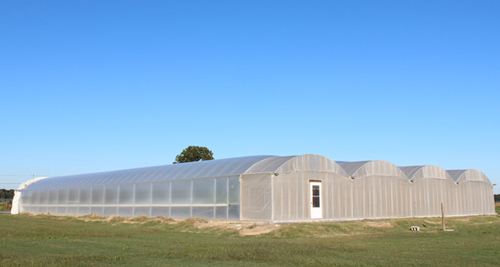 Greenhouse above shown with optional rigid sidewall vents. Looking for a Premium Greenhouse for your MicroFarm or Commercial venture? Greenhouse designed with food safety, bio-security, energy efficiency and maximum environmental control in mind. 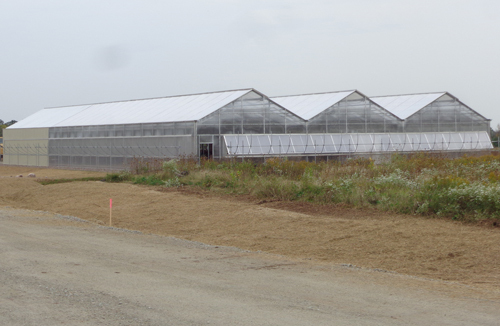 Contact us to coordinate your purchase of a Premium Greenhouse for MicroFarms and Commercial systems.